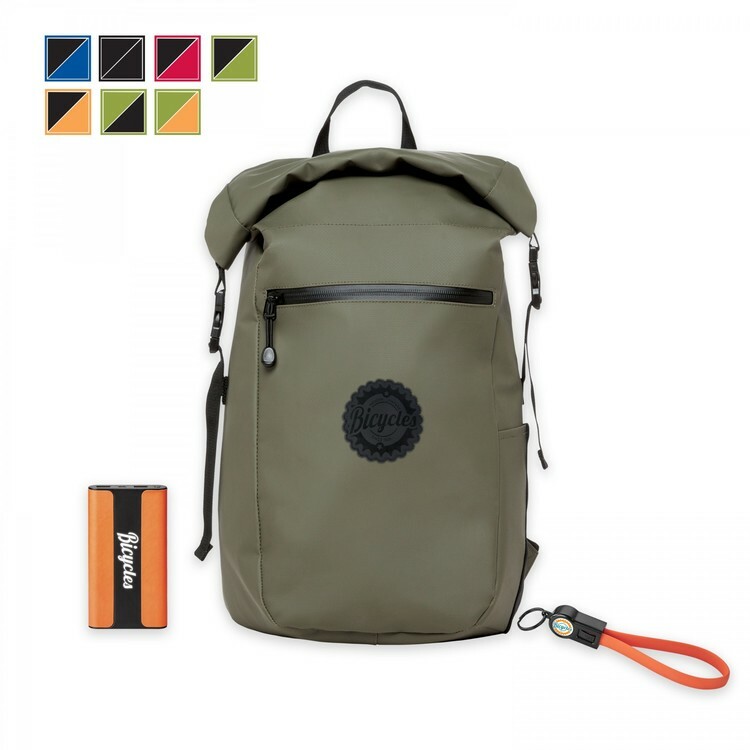 Gift Set includes BG103 Call of the Wild Roll-Top Water Resistant 22L Backpack, T986 2-in-1 Charging/DataTransfer Cable/Key Ring and T1234 Sol Donald 8,000mAh UL Certified Power Bank. 600D Polyester with Padded covers. 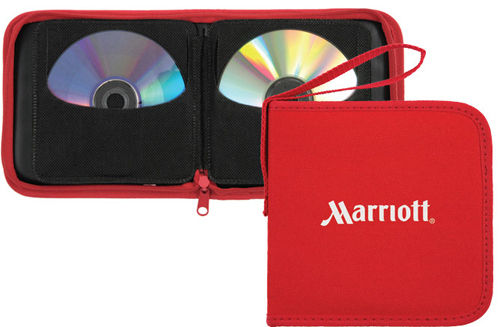 Holds 12 CD/DVD's. 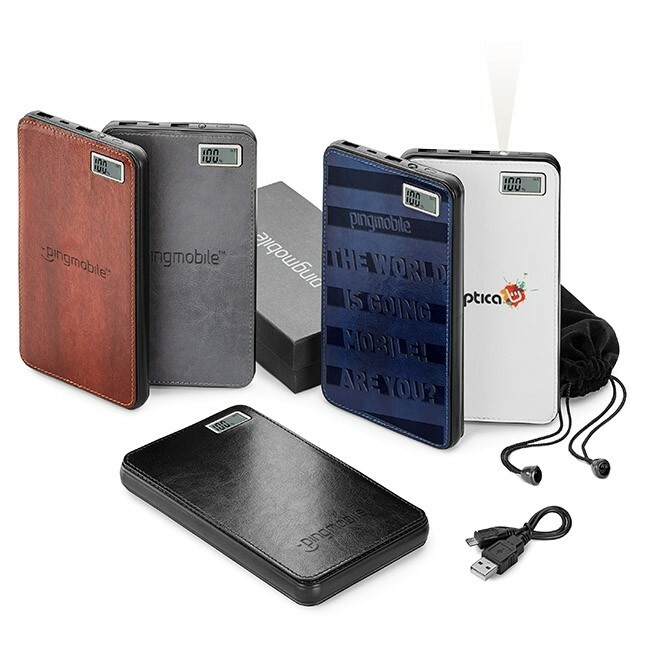 The Fabrizio Super power bank is our most powerful charger yet and will surely be a welcomed companion to busy professionals and travelers. 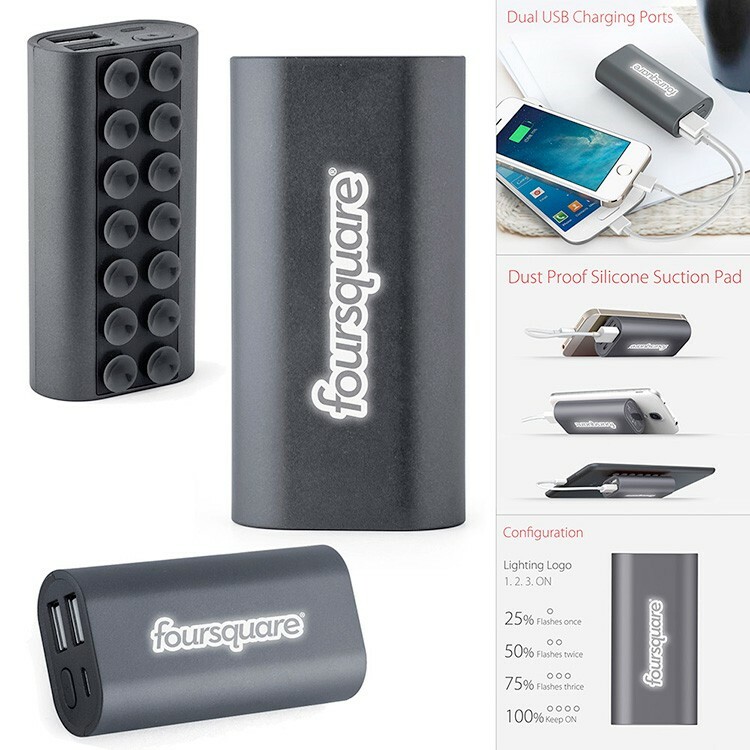 This high capacity charger is a great addition to our best-selling Fabrizio collection and has 2 USB output ports (1A output or 2.1A output) capable of charging 2 devices at the same time by using both USB ports individually. The digital battery percentage indicator and built-in white LED flashlight are useful features to ensure you are never caught in the dark! 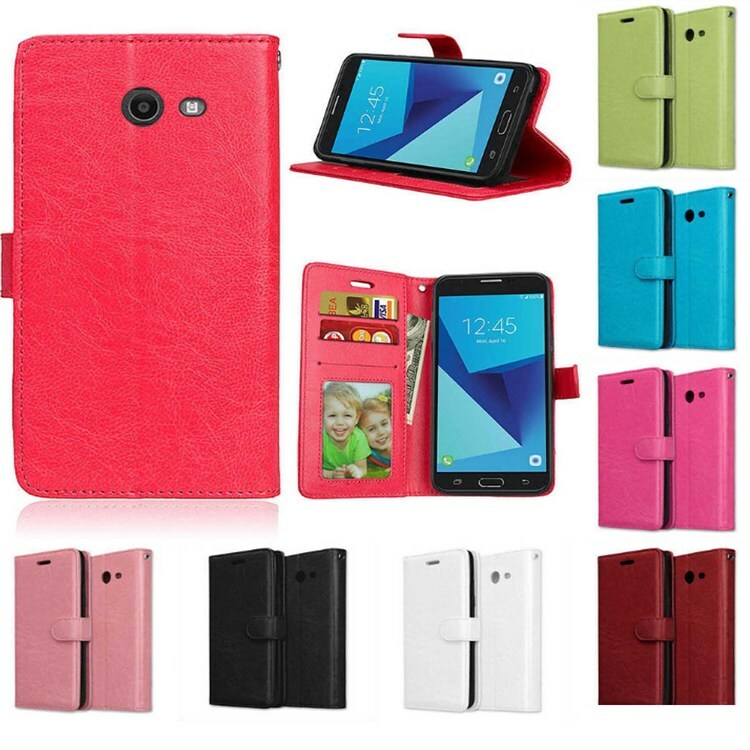 iBank® Leatherette Case for LG G Pad 8.3 Protect your LG G Pad with this PU leather case at all times! 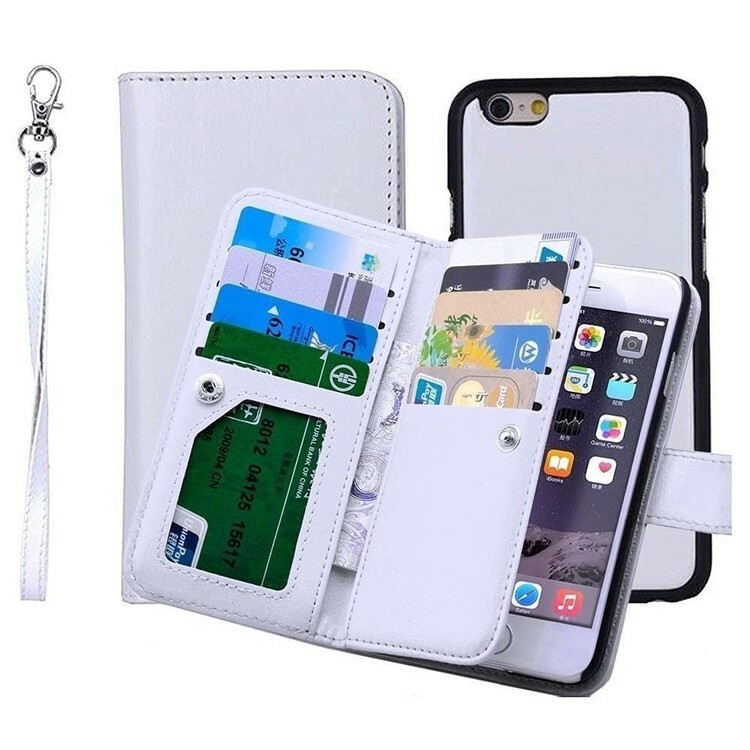 This case sports a simple and classy design made from PU leather, and the interior is lined with non-scratch material so you don't need to worry about any damages. 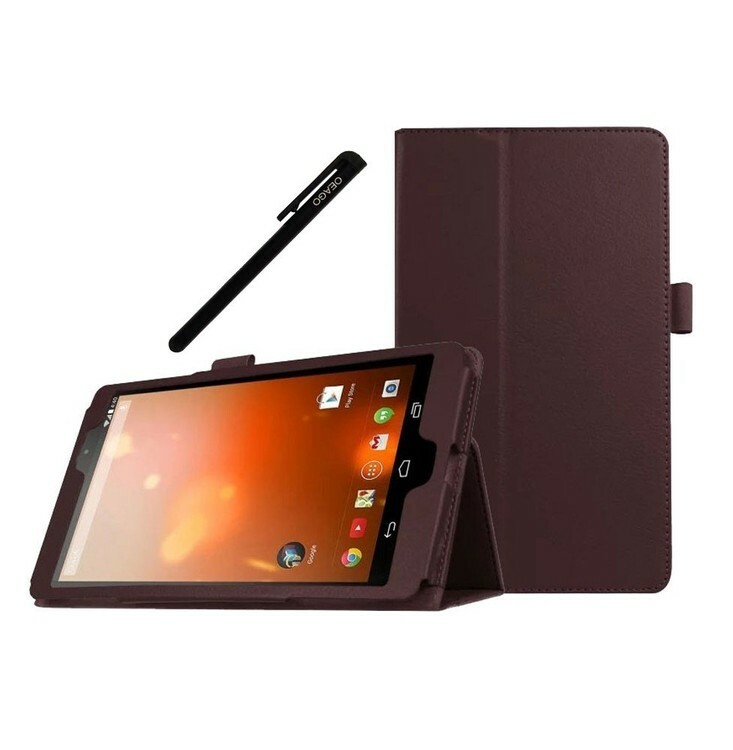 Because the cover is uniquely designed to flip back and transform the case into a comfortable viewing stand, this capability allows the viewer to use the tablet hands-free whatever your position may be without strain. All features of the tablet are accessible without removing it. 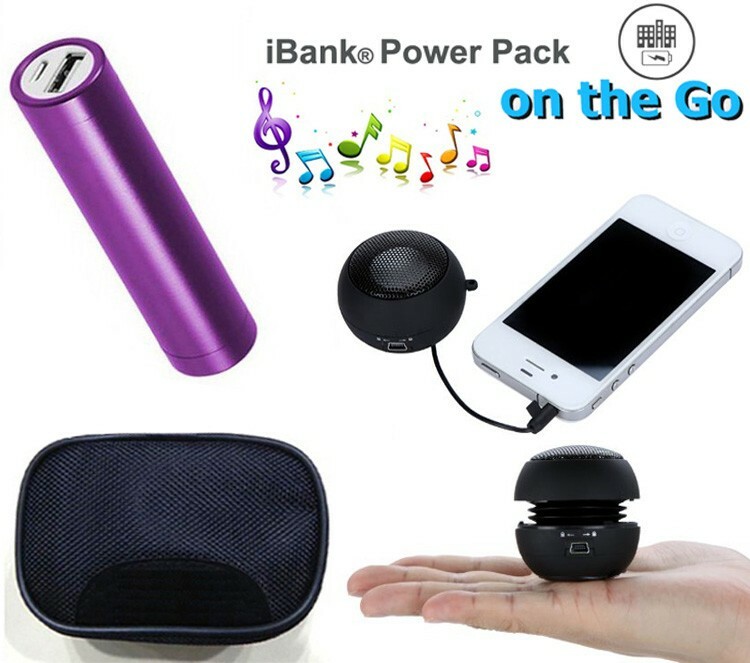 Watch movies and listen to music clearly with speaker holes! The compact structure of the case offers convenient mobility so you can just grab your tablet and be ready to go knowing it will be protected at all times! 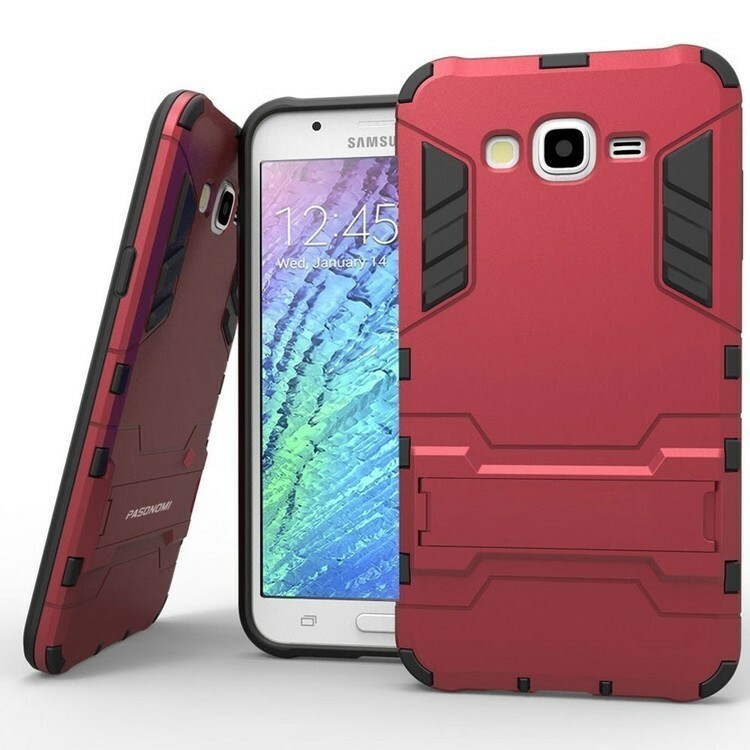 Samsung Galaxy S8 Case, Heavy Duty Hybrid Dual Layer Protective Case Cover for Samsung Galaxy S8 Dual-layered construction for reinforced protection.Only Fit for Samsung Galaxy S8 Built-in kickstand on the back for horizontal viewing position. 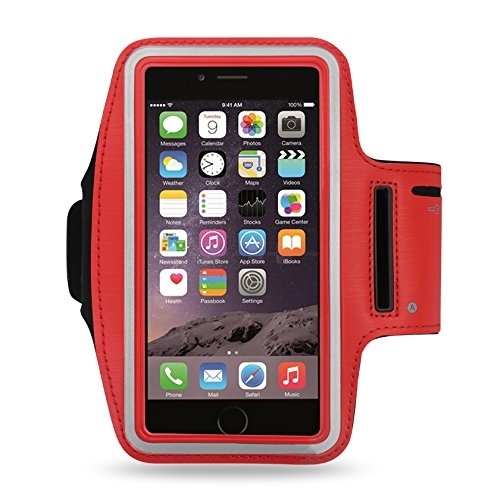 Shock absorbent, shatterproof, and anti-scratch material. Fashion design keeps your screen private and feels good. Perfect cutouts and slim design allow you to maximize the functionality of your phone. 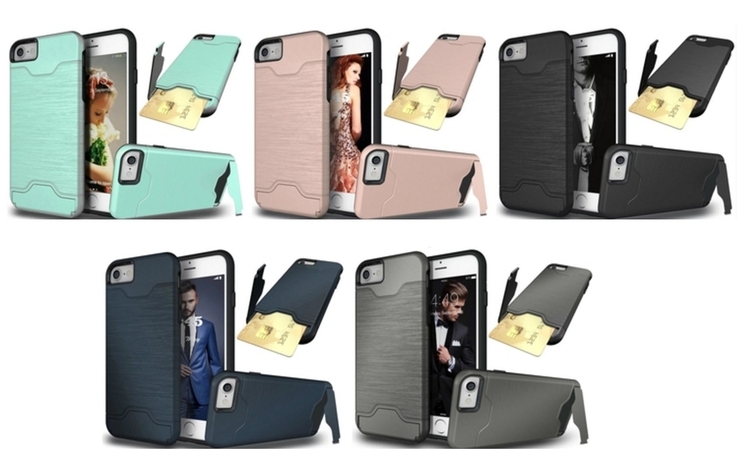 The Luxury Credit Card Holder PU Leatherette Stand Case for iPhone 7/8 is one of the most convenient case covers. Unique design allows easy access to all buttons, controls and ports without having to remove the case. 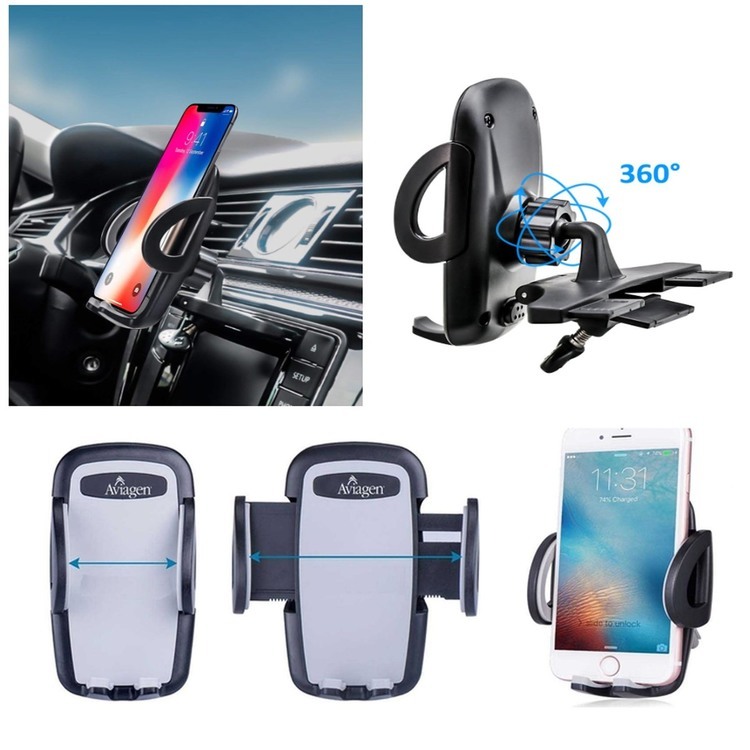 Act as a stand case, it is convenient to use. Holder inside the case ensures steady & secure fit. 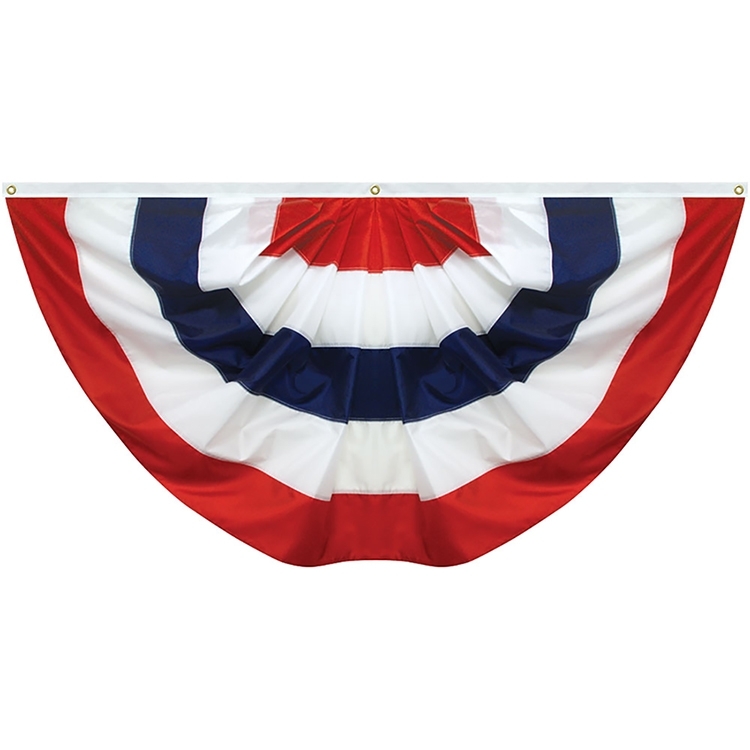 This 5' x 10' sewn 5-stripe nylon pleated fan is a great way to sew up a stellar decoration for your patriotic display! This flashy fan features five red, white and blue stripes, allowing you to proudly show off your U.S.A. pride. It is ideal for awnings, front porches and building facades and makes a fitting accent for museums, holiday parades, historic associations, state capitals, educational purposes and political campaigns. 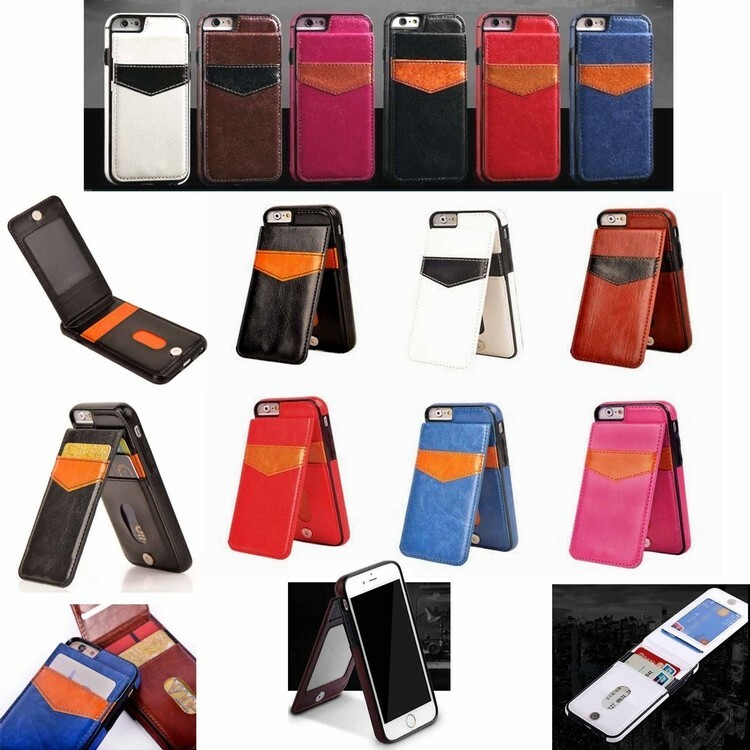 The Premium 9 pockets wallet PU Leatherette Case for iPhone 6 Plus is one of the most convenient case covers. 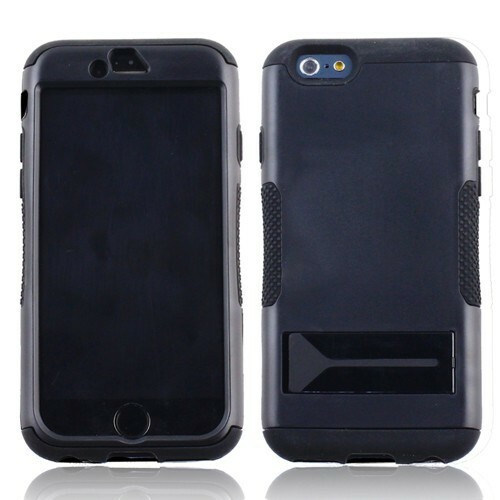 2 In 1 design, detachable magnetic shock-absorption back cover. The wallet and the inner snap-on can separated for independent using. The premium PU leatherette case is guaranteed to not only shield the entirety of your new Smartphone with ease, but also provide you with some useful utility alongside that! 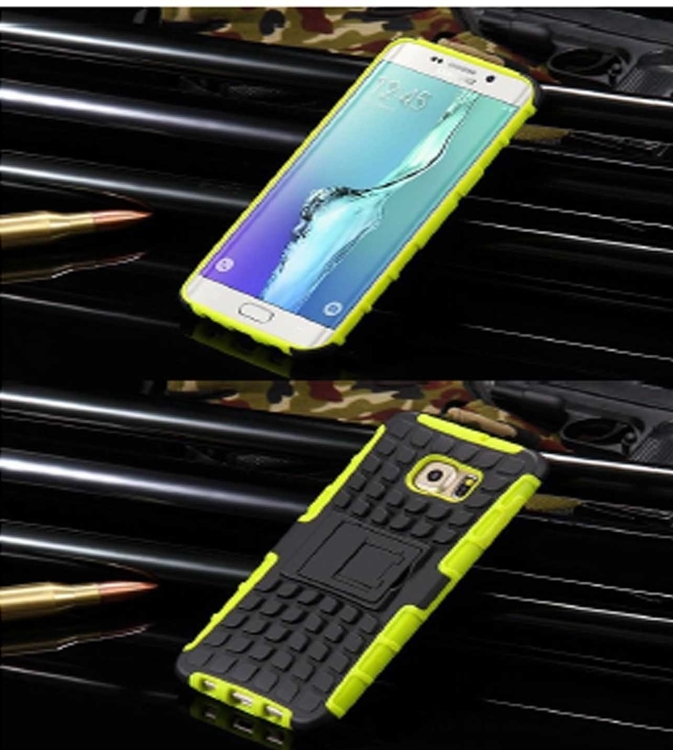 Samsung Galaxy S8 hard case and kickstand, this outer enclosure hard shell constructed from impact-resistant polycarbonate and double-enforced with a shock absorbing silicone inner-sleeve. 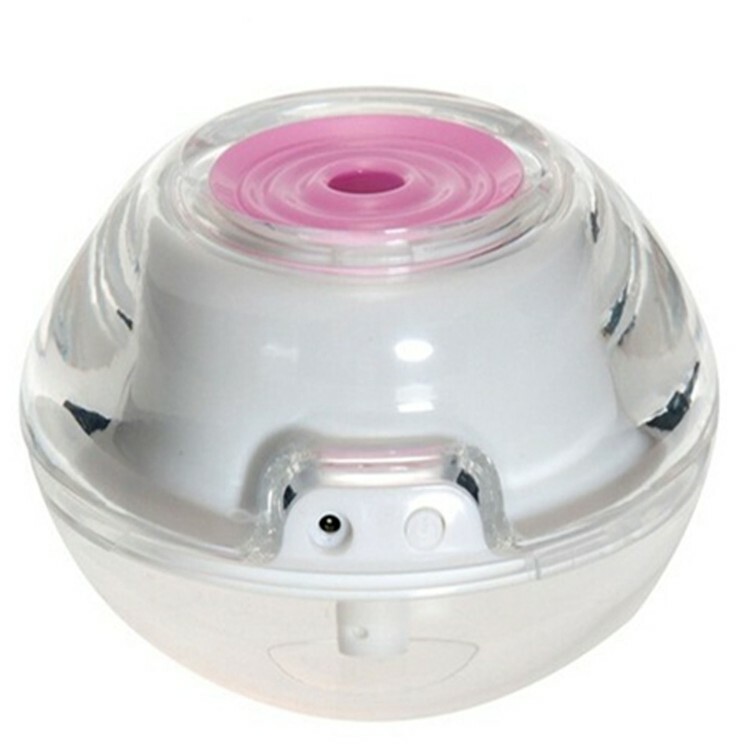 The corners feature double-thick silicone for outstanding protection against drops and other impacts. Protect your device from daily scratches. 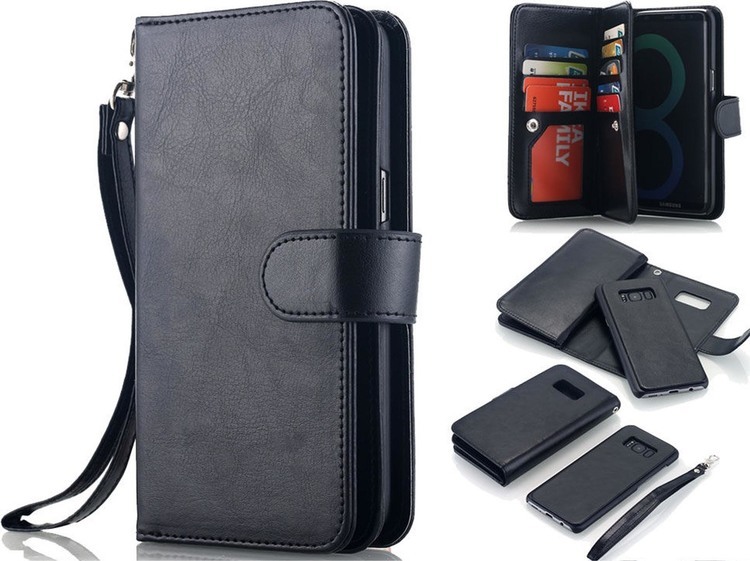 Premium Leatherette Wallet Case for Galaxy S9 Plus. 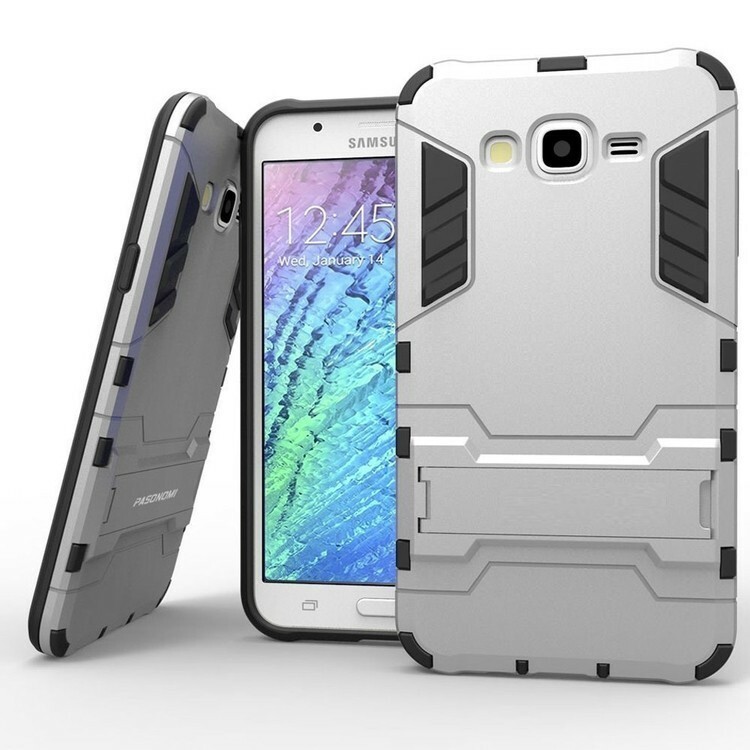 2 In 1 design, detachable magnetic shock-absorption back cover. The wallet and the inner snap-on can separated for independent using. The premium PU leatherette case is guaranteed to not only shield the entirety of your new Smartphone with ease, but also provide you with some useful utility alongside that! 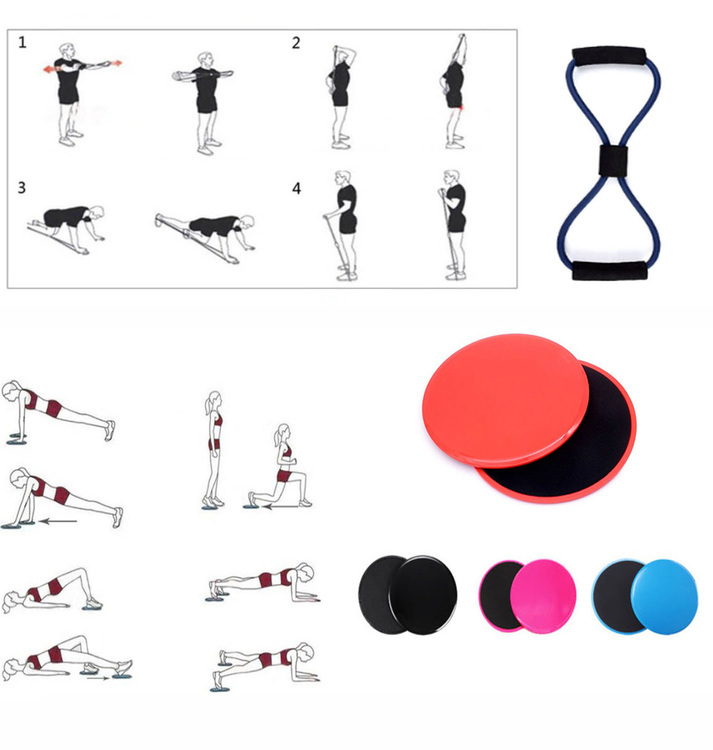 Exercise Fitness Sliders + Chest Expander Band It won’t matter what surface you’ve got at home or on your travels, because these double-sided exercise sliders work smoothly on all surfaces. The possibilities are endless here. With such a wide variety of slider exercises to do, you’ll never ever be bored with them. Toning your tummy, legs or arms will never be an issue again while you enjoy lunges, planks, bridges or simply make up your own exercises. With the fitness sliders, your hands or feet never leave the floor, so it’s a total body workout that is a very low impact but highly effective for fitness development. 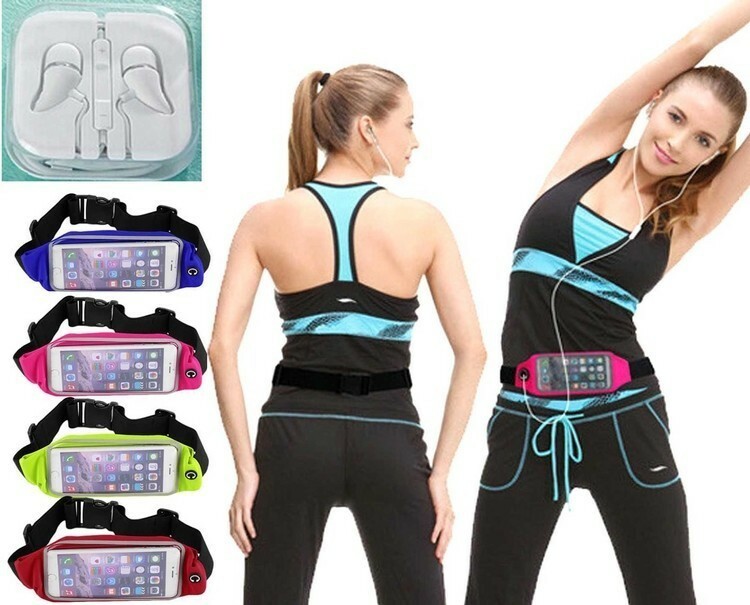 They will add so much fun to your daily workouts and think of all the extra flexibility you’ll have. Our exercise sliders are so light and compact that you can pack them in any bag and take them wherever you travel. 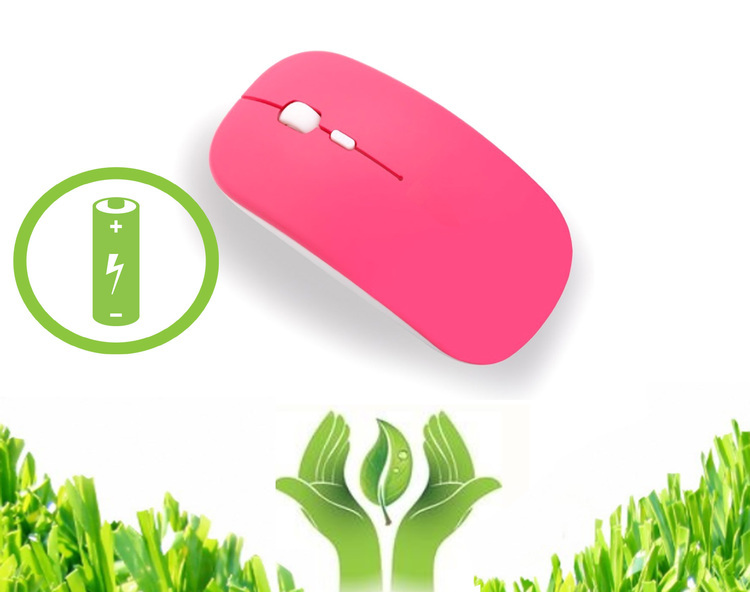 Wireless Mouse + USB LED light Fast scrolling: Fly through long documents and Web pages with a single spin. Or use click-to-click scrolling for the precision you need when navigating lists, slides, and images. You get the reliability of a cord plus cordless convenience and freedom. LED lights are available in different fun colors that you can choose from. Their bendable form allows for multiple usage scenarios. 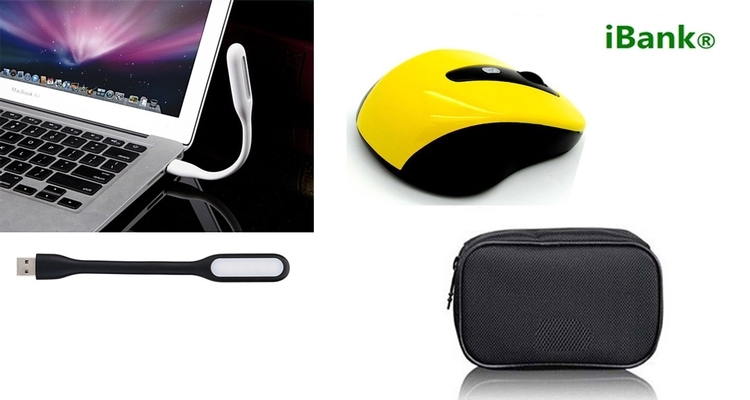 They are the latest fashion designed portable LED Lights that can fit in any USB charging port. 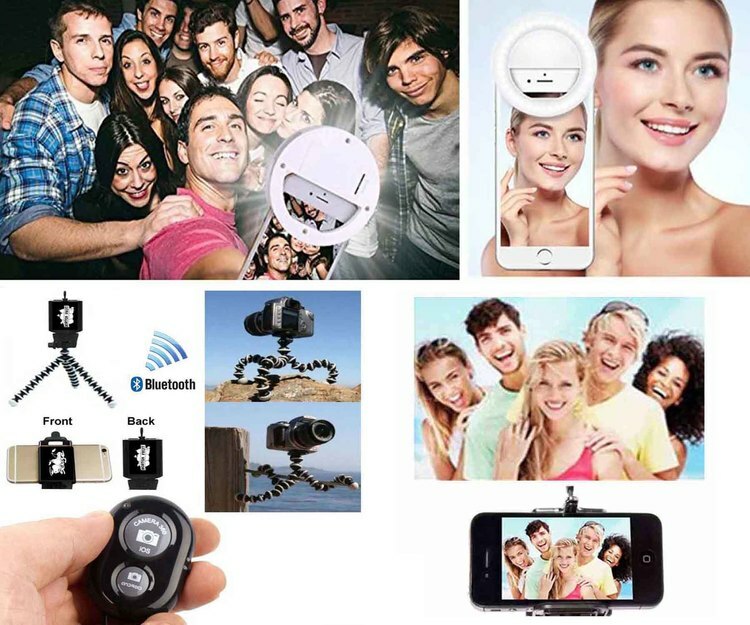 Each one is light weight and small which makes them very easy to carry with you anywhere! Keep your Apple iPhone safe and protected in style with this protective dual layer hard polycarbonate plastic back with a brushed chrome design, and a flexible rubber TPU inner skin. New card slot design comfortably fits 1 card with a kickstand. Unique design allows easy access to all buttons, controls and ports without having to remove the skin. 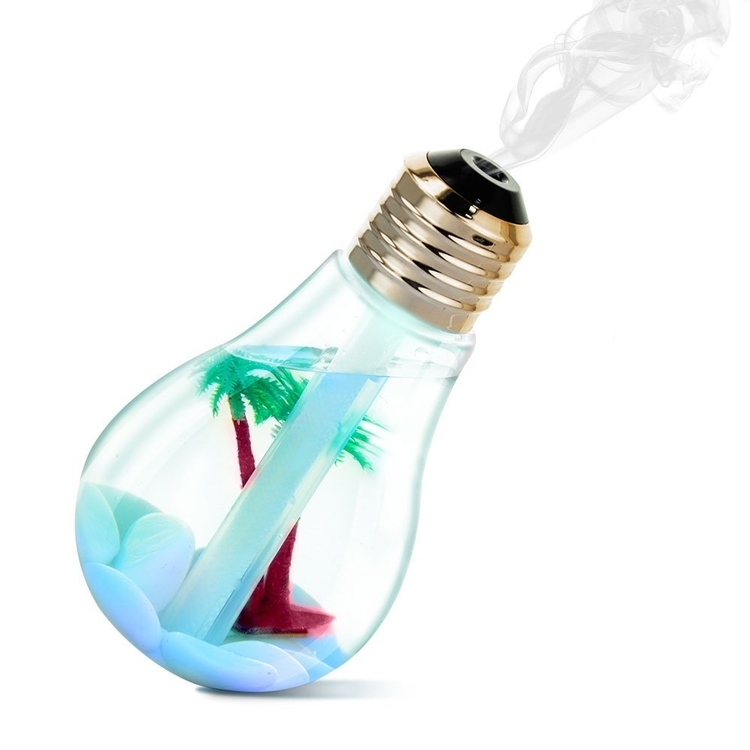 This new innovative light bulb humidifier comes in a mini tropical landscape design. The LED color-changing light enhances 7 adjustable changing colors. 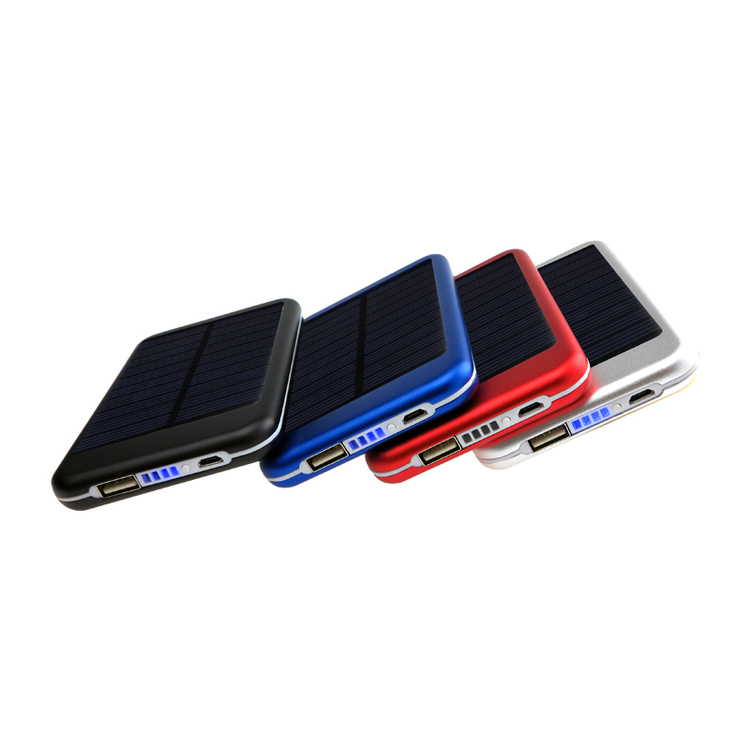 Versatile plug in choices with usb cable & adapter will provide you flexible recharging options. Super quiet operation with 400ml water tank, can continuously work for 6-9 hours. Food grade material, nontoxic and environmental friendly. 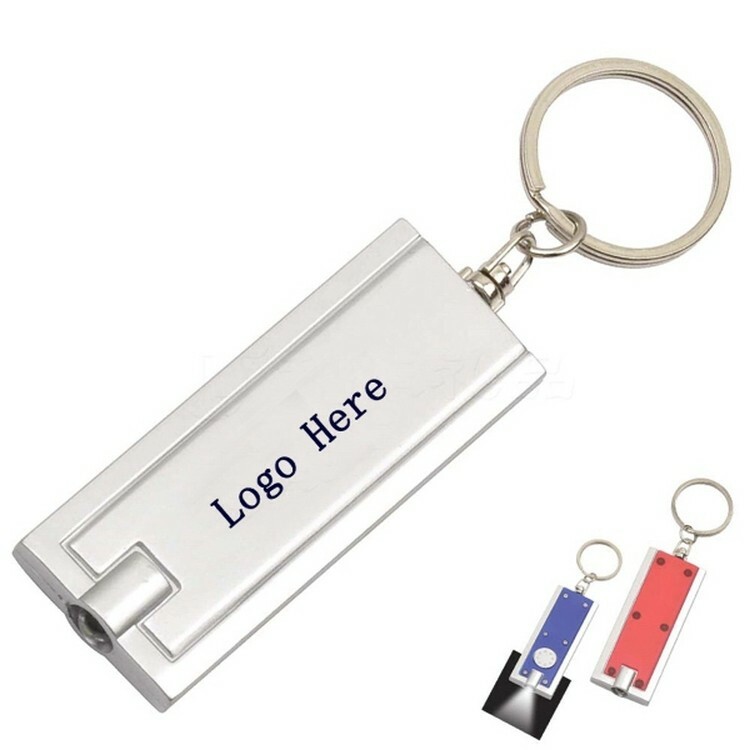 Promotional key chain is made of metal. 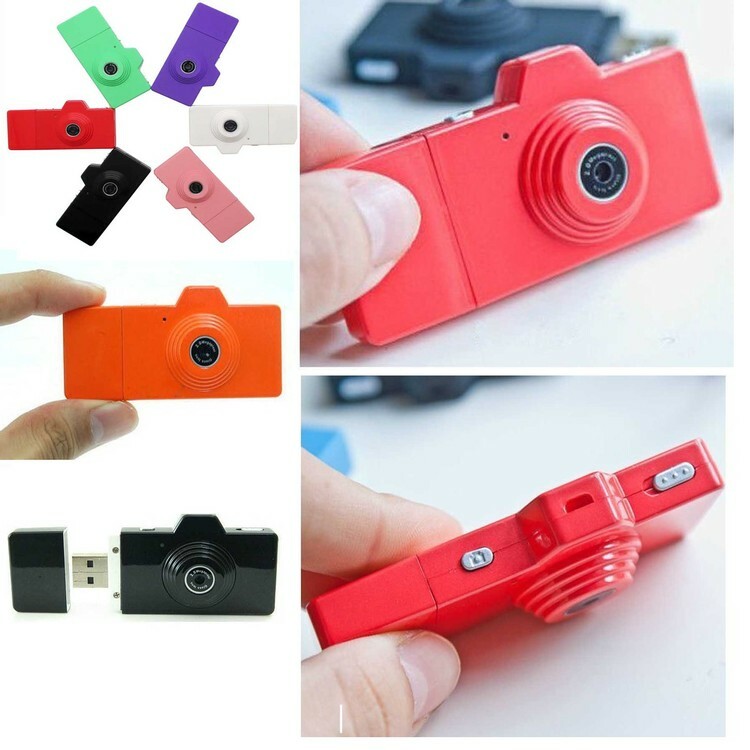 It is expertly designed, small and good looking, with LED ligh, the design is nice for gift and can print your logo. 400mAh Rechargeable Battery is Built-in. Charging 1 hour to work for 2880 hours. 2.4GHz wireless connectivity. Fast scrolling: Fly through long documents and Web pages with a single spin. Or use click-to-click scrolling for the precision you need when navigating lists, slides, and images. You get the reliability of a cord plus cordless convenience and freedom.